Reading through Hebrews this morning I was struck by this passage addressing the work of Christ, our great High priest whose ministry supersedes and fulfills that of the OT Levitical priests. In order to do so he outlines various functions of the OT priests in order to compare and contrast the two. I consulted Calvin, as I’ve been wont to do of late, to see what light he could shed on the matter. and lastly, that they were not presumptuously to rush into this office, and that then only was the honor legitimate when they were chosen and approved by God. 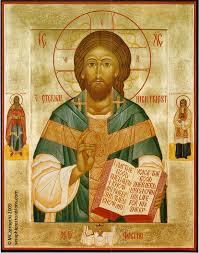 According to Hebrews then, this is the Christ who is our Priest. He is the truly human one; the one who comes for us, not for himself alone; the one who has offered up a sacrifice for us; the one sympathizes with us in our weaknesses and infirmities; the one who comes by the call of God the Father, in the power of the Spirit. This Christ is indeed worthy of all our praise and worship.